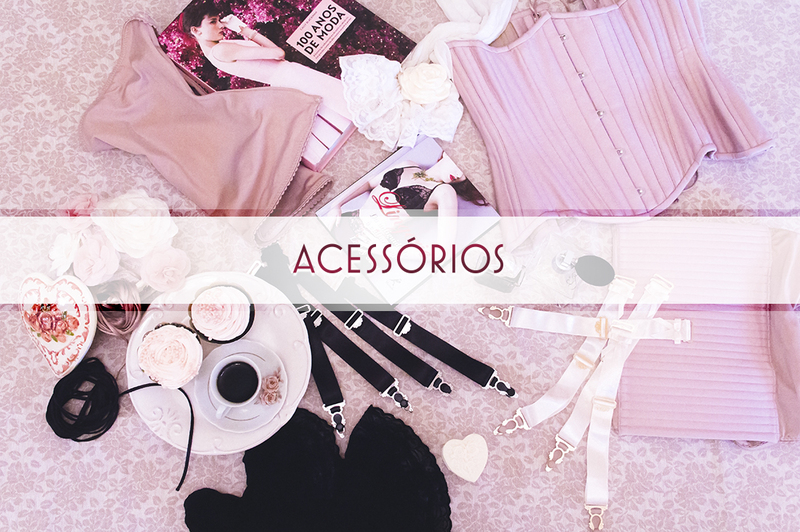 The brand’s accessories were created to broaden our clientele’s experience within the universe of Corsetry. Each of the pieces made available were diligently elaborated in order to offer comfort and practicality, besides broadening the piece’s utility options. An innovative accessory created by corsetiere Rose Sathler, the Smart Liner consists in the combination of two classic accessories: the Lacing Guard (or back panels)and the Corset Liner. Developed with the aim of offering top convenience in the process of putting on the corset, the accessory lowers the necessary time at 60%. It protects, in an even more efficient manner,the skin from constant chafing throughout the area covered by the piece, especially the lower back. Due to its convenience and protection, the accessory is highly recomended with Tight Lacers. It consists basically of an intermediate mesh tube whose function is to avoid direct contact between the whole of the corset and the skin, hence offering more comfort and decreasing the need for frequent washing. It consequently increases the corset’s durability. Available in many colors, it is the perfect accessory to value basic pieces in that it guides our gaze toward the most striking and traditional point of the corset. popular in the beginning of the twentieth century, the garter set was created to be used with 7-8 stockings. Produced in a vintage style and made up of satin, it revives the corset as lingerie and complements bolder and more provocative looks. Our garters contain luxury and exclusive support and regulators which were developed especially for the brand and are available in silver color and are also bathed in gold.